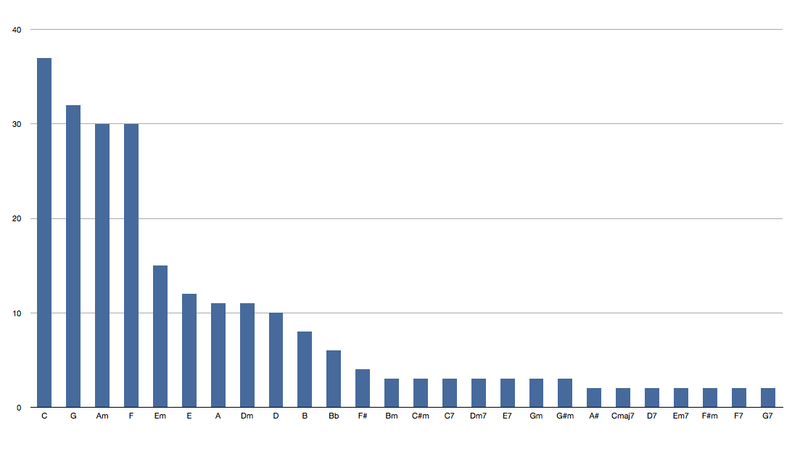 And here’s one showing all chords used four times or more. The first thing that struck me was that it’s a Pareto distribution (near enough) which means if you learn the first few chords you’re going to be able to play most of the songs. 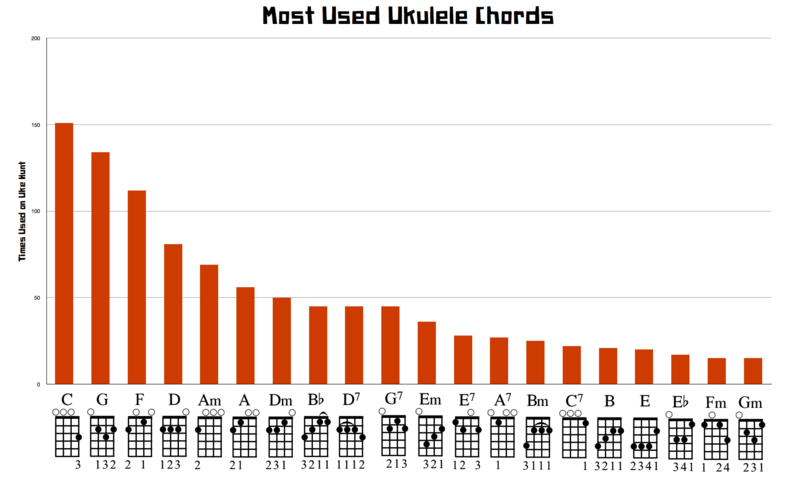 I was curious, so here’s a chart for the chords for ukulele-tabs.com’s most popular songs. The results are similar but there’s a much clearer gap after the top four. 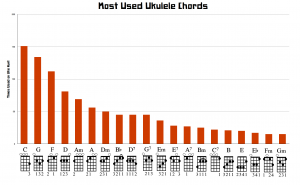 So if you want to write a successful ukulele song use the chords C, G, Am, F.
If you come across a song that’s all Eb and Bb and you haven’t mastered those chords yet, there is a way to make it easier: change the key. To do that visit this site. Take your complicated chord chart. Copy and paste it into the box. Go to the ‘New Key (required)’ drop-down menu and select C. Click ‘Click Here’. Whatever it spews out will sound right and will usually be easier to play (if not to sing). All of which raises this question: what’s your favourite chord? I’m going with Caug (1003) or add in the 7 as well (1001). Leave yours in the comments.